This is my first blog here and, given the time of year, I wanted to use it to reflect on a very full year – and to anticipate a little of what 2012 is likely to bring. 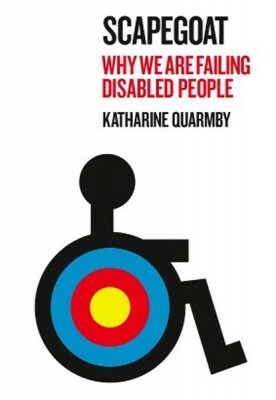 In June 2011 my first book for adults, Scapegoat: why we are failing disabled people, was published (Portobello Press, 2011) and launched to a kindly audience of faces at the Department of Health. Many of my great friends from the disability movement were there – my ally and colleague on the Disability Hate Crime Network, Stephen Brookes, Mike Smith and others from the Equality Commission, Mandy Sanghera, who has done so much to combat honour-based violence, John Pring, whose own book, Longcare Survivors, was also published this year and my very patient family, who have accompanied me to many crime locations over the last few years, as I researched my book. I went on to speak about the book at Stoke Newington Literary Festival (a very rainy day, and thanks to Richard Rieser, who drove all the way back from Cornwall to discuss Scapegoat with me there), then later at Hay and Edinburgh. I’ve been humbled by the generosity of the audiences too – so many brilliant disabled people, experts in their field, who have taken the time to come and talk to me at the festivals and conferences I’ve attended this year, to discuss particular themes of the book. I’ve discussed the troubling semantics of mate crime with Joanna Perry, now of the Organisation for Security and Co-operation in Europe but latterly at the Crown Prosecution Service, friendship theory with Ruth Bashall, who runs Disability Action Waltham Forest and other themes with Bert Massie (the former chair of the Disability Rights Commission, who set me on the right road for disability rights many years ago) and others, too numerous to mention. Next year I’m already speaking at Bath, Bristol, Yeovil and Glasgow Festivals – but I’m also researching my next book, on Gypsies, Roma and Travellers, both in the UK and abroad. Having reported on Dale Farm for the last five years, it was a bit of a shock to arrive there in August this year and find that activists had ensconsed themselves for Dale Farm’s last stand. Later, of course, I was there, reporting for the Economist, as the eviction finally happened, at great economic and social cost. That’s part of the story I intend to tell, – but also the story of Meriden, where a small number of Scottish Gypsies are living, and how their presence has split the village, and further afield, travelling to France and Eastern Europe to tell the wider story of Roma persecution. I do feel very lucky, to have been given the opportunity to tell these stories of two different parts of our community, and even be paid, albeit not very much, to do so. It’s a privilege – and despite the recession, and the hardship it has brought us all, somehow, these stories deserve to be told, told well, and told truthfully. I’ve thought long and hard about the question that this kind of story-telling poses me as a journalist and writer too – is it legitimate for me to do so, when I’m not a Gypsy, when my personal experience of disability is more limited than that of so many other people I have interviewed? Well, I wouldn’t be writing the stories if I didn’t feel that I could, or should. I think my skills as an investigative journalist can bring something else to the mix. 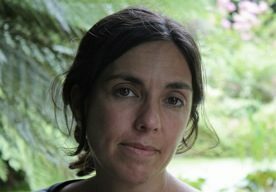 I can’t (and won’t) tell my personal story – that’s for individual Gypsies and Travellers to do – but I can convince a wider audience that their individual tales have a context that needs explaining – in how society treats them, how the criminal justice system treats them, and what the legacy of history is. That’s legitimate, I think – my work is a small part of the collective narrative, complementing the many wonderful memoirs, written by Gypsies and Travellers, and their growing academic work on the issue. And if it serves to educate a somewhat jaded public, which has only seen Dale Farm and My Big Fat Gypsy Wedding this year, I hope that’s worth doing. This entry was posted in Uncategorized and tagged disability, gypsies, my big fat gypsy wedding on December 15, 2011 by katharinequarmby.